Pacefeeder: The Natural and Healthy Way to Feed Horses! 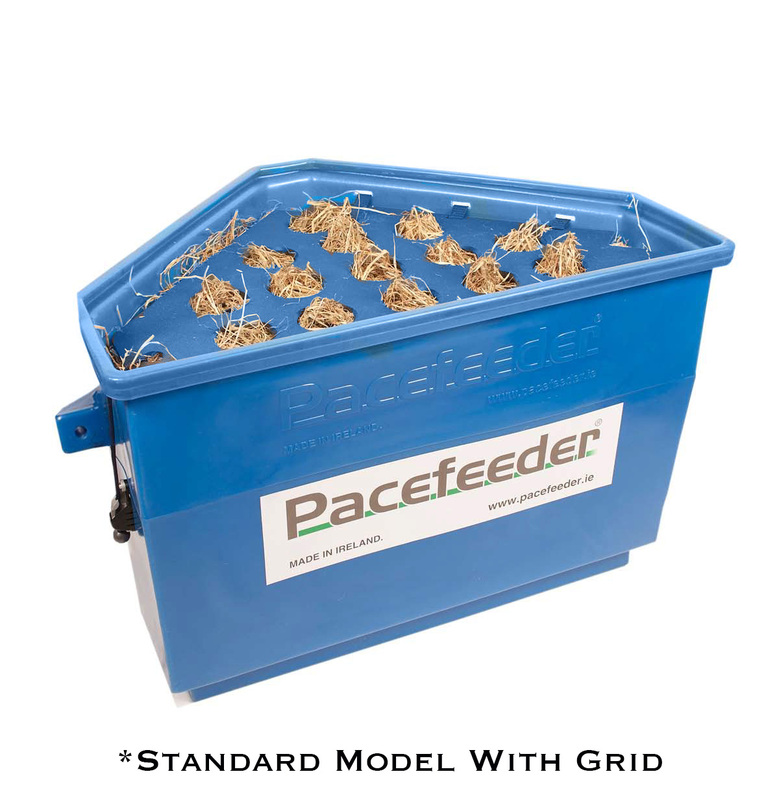 The Pacefeeder ® is both an indoor stable and an outdoor slow hay feeder that allows horses and other equines to have access to their hay over an extended period of time, mimicking their natural grazing behaviour. Traditional methods of giving a horse two-to-three feeds a day does not take into consideration the digestive system or the natural behaviour of the horse. Scientific studies have shown that feeding in this manner increases the risk of stomach ulcers and other veterinary problems like colic, as well as behavioural problems. No ingestion of dirt, sand, & parasites from the ground. Gives you a more flexible schedule. Want to Know How the Pacefeeder Works?